We have been featuring a series of recipes dedicated to the beginning of fall. When there is a cool, crispness in the air, it just lends itself to heating up the oven and breaking out the trusted recipes that fill up the house with such good aromas, you will have everyone coming in to see what’s cooking. This was one of my sweet mama’s and I loved watching her make it. The tip for this one is stir it often when it goes in the oven. That will keep the popcorn from sticking. The first step is to pop your corn. Now I know you think I am going way back in time by popping my own corn on the stove. I would rather do it this way because the end product is so nice. 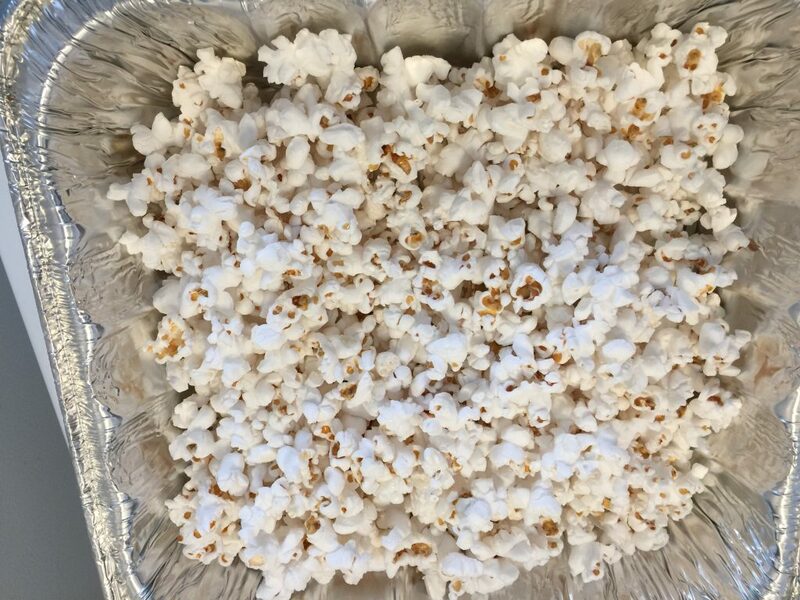 Microwave popcorn is okay for a quick snack, but for adding in with other ingredients, using the kernels and popping yourself is the best way. Since the recipe calls for 3 quarts of cooked popcorn, that translates into 12 cups popped corn. 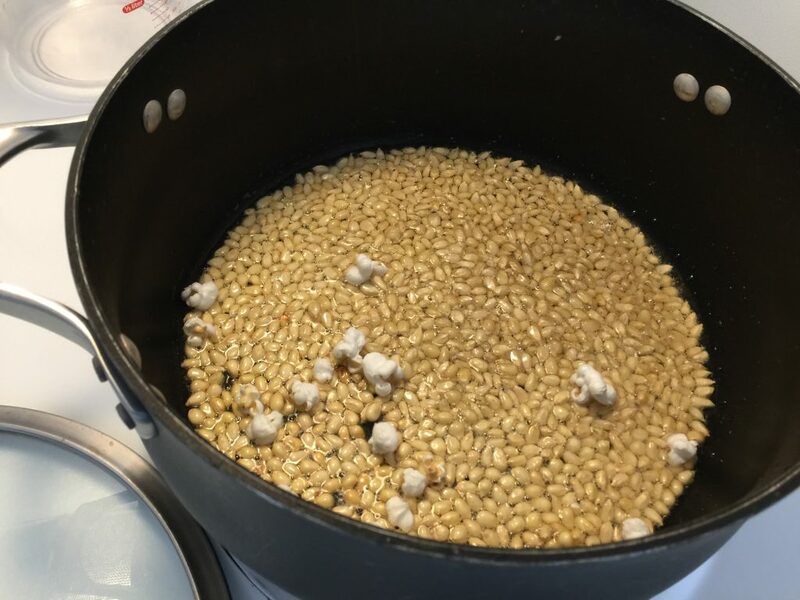 A general rule of thumb for measuring unpopped corn is 1/8 cup of unpopped kernels equals roughly 12 cups of popped corn. If you have an air popper, follow their instructions. I’m preparing my popcorn the really old fashioned way — on the stove top. 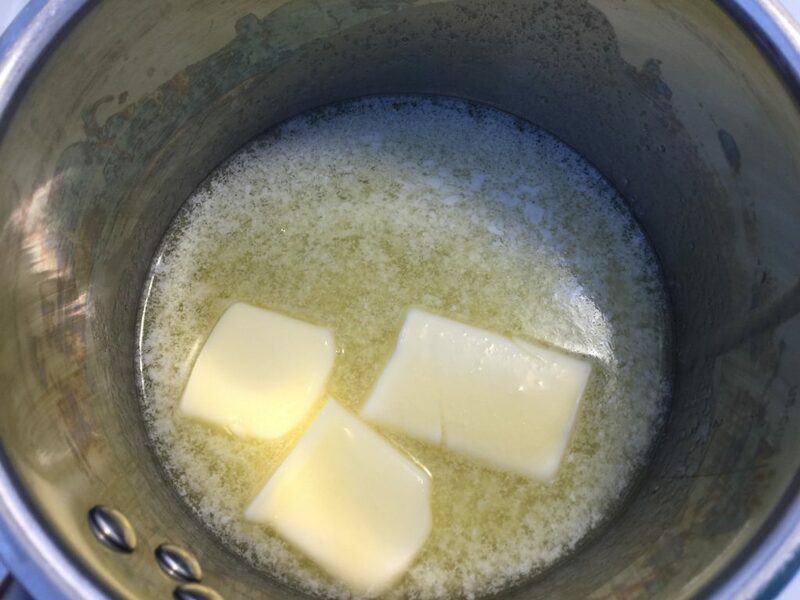 First, I add the oil and turn the heat on medium high. You don’t want it too hot because your kernels on the bottom will burn. Every stove is different, so you will set yours accordingly. I place a few kernels in the pot and when they pop, the oil is ready. Pour all the kernels in the pot and cover. Hopefully, you are using a pot with handles which will make this step much easier. Hold the pot by both handles and slide back and forth over the stove eye. Keep the pot moving over the heat until you no longer hear the kernels popping. Remove from the heat, and pour into your broiler pan. 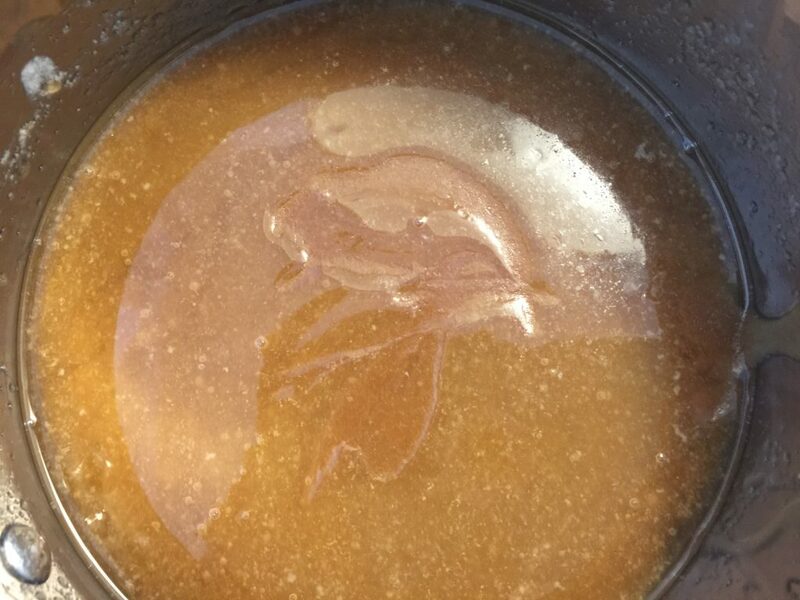 The tip for this step is to not stir for five minutes after you add the brown sugar, salt and karo syrup. It is called a rolling boil when a liquid is boiling rapidly. If you stir during this stage, it breaks down the ingredients. 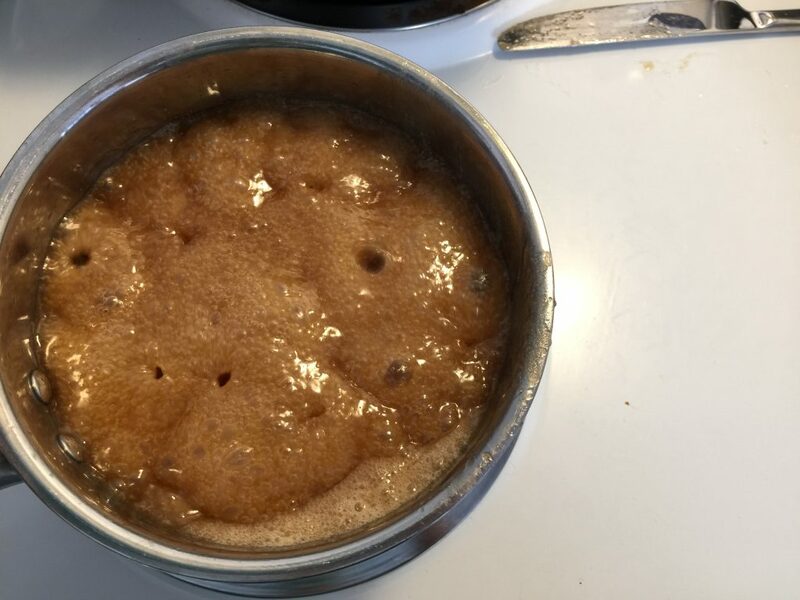 After five minutes, remove the sauce from heat, and the baking soda and vanilla. 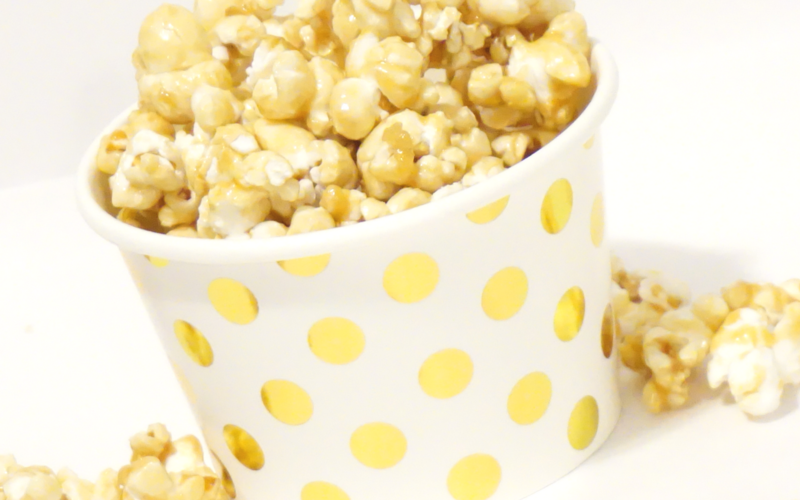 Drizzle over the popcorn and stir mix covering well with sauce. 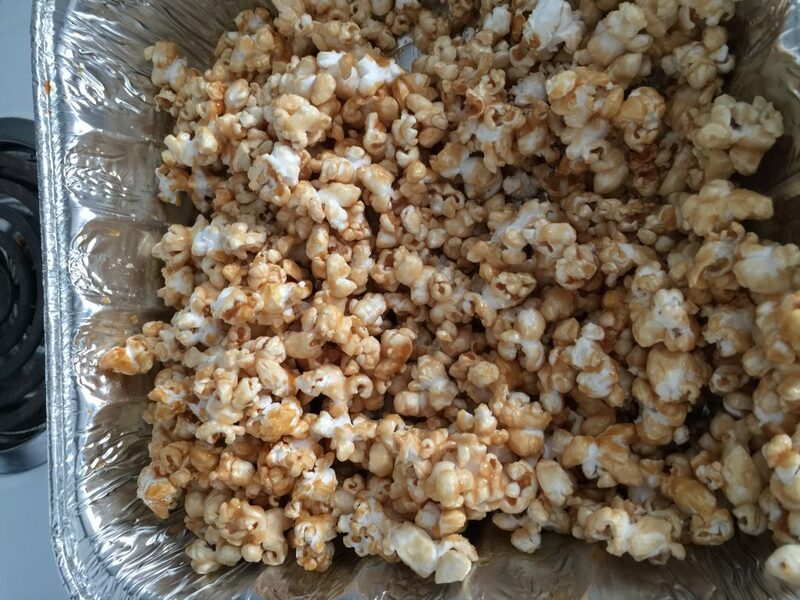 Place in oven and every 15 minutes turn the mixture to ensure the popcorn gets completely coated with the sauce. Bake 300º for 30 minutes, stirring every 15 minutes. 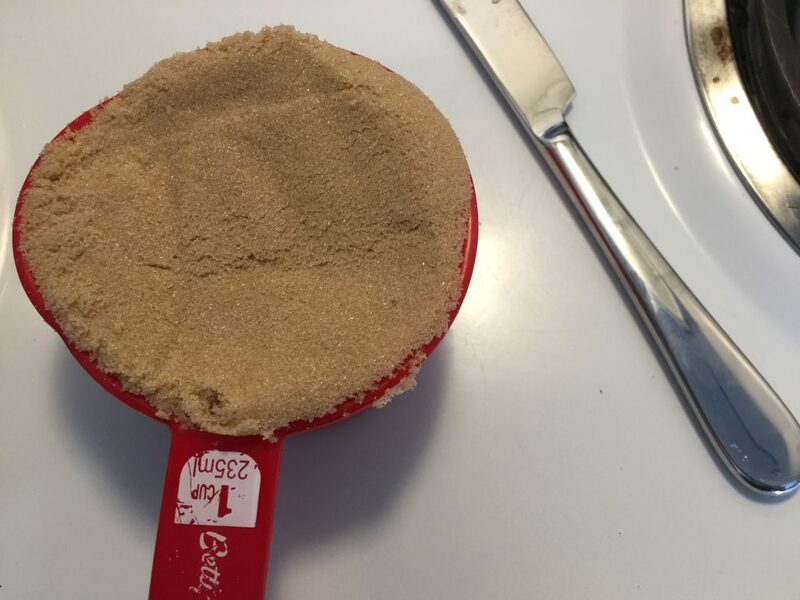 You may want to add peanuts to your mixture. I chose not to because my gang prefers popcorn only. If you want to add, do this before you add the caramel sauce. Just smelling this makes me think of state fairs and school days. Though my children are grown, I can still get them into the kitchen with the smells of caramel and popcorn. I hope your family will enjoy this as much as mine! Have you seen my other recipes?